To Your Health: 35) TIPS ON HOW TO USE BB CREAM. Now that you know what is BB cream, lets find out how to use it. If you haven't a clue, please read What is BB Cream? Firstly, BB cream can be used as a highlighter, primer, moisturizer, foundation, concealer, facial balm and a sunscreen. It has the ability to conceal and cover up imperfections. Consider it a 7-in-1 tinted moisturizer! Blemish Balm Cream is the hottest new thing in makeup and skin care and though it has been a smash hit in Asia for decades, it is only recently been discovered by US consumers . If this is the first time you are trying BB cream, you might wonder just how to use it. So here are 7 tips to get the most out of BB cream and help you apply it properly. Remember that no two BB creams are exactly the same. It depends on what look you want to achieve. Maybe if you have oily skin, you may prefer a BB cream that gives a matte finish or for a night out, use a BB cream that illuminates. You can choose the type that does not have color or if you like, the ones that can add some color. Some will give you full coverage, while others give just a hint of coverage. The possibilities are there for you to discover and experiment with so that you can find the BB cream that is perfect for your skin and color tone. Always use a moisturizer first. Most BB cream will state that it can be a moisturizer plus foundation. However, put an initial base of moisturizer first, espleecially if you have normal to dry skin. Asian skin tends to be oily so go easy on the moisturizer especially on the T-zone. Brushes and Sponges are not required. The best tool you can use to apply BB cream is your fingers. It is the easiest way to get an even and natural look. Just dot the cream on your skin and then blend it in. Begin by using it as a concealer. Cover blemishes, visible scars as well as under eye circles first. Dot a little on the areas to conceal and blend in. After it has set, apply BB cream to the rest of your face for greater coverage. Always set with powder. 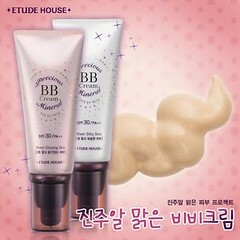 Usually, it takes about a minute or two for the BB cream to dry after which you should set with powder for best results. Keep your hands off your face and setting with powder will keep the cream on your face the whole day. Darker skin tone? Solution-mix with foundation. Many of the BB creams found in Asia comes in one color, light as white skin is considered beautiful in these part of the world. Unlike in the US, people love a tanned skin. So mix a few drops of your foundation with the BB cream and you will still get the benefits of the cream as well as a shade that is suitable for your skin. Compare prices. Some BB creams are way too expensive. A price ranging from RM30 to RM50 is reasonable. Keep trying. If you are not sure if the color will suit you, get samples which are always a great way to try out a product before putting down your money. My next topic for discussion is, "Homemade Masks & Scrubs For All Skin Types." 14) WHAT IS COLOR BLOCKING? 15) LAVENDER, TEN NATURAL HEALTH BENEFITS.